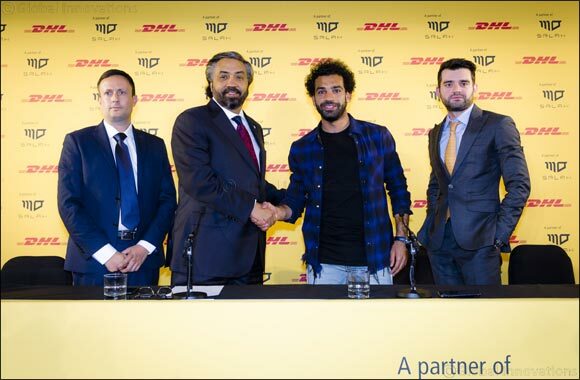 Dubai, UAE, May 24, 2018: DHL Express, the world’s leading express logistics provider, has signed a strategic partnership for the Egyptian football superstar Mohamed Salah to become its brand ambassador for Middle East and North Africa (MENA) region for the next two years. The new collaboration will see the parties working together on a series of marketing activities and CSR initiatives that reinforce the synergies between the core values of DHL Express as a business and Mohamed Salah. It was announced on 23 May at a press conference held in England in the presence of senior DHL Express officials, distinguished guests and international media and comes just a few weeks before Mohamed Salah will lead the Egyptian football team at the FIFA World Cup in Russia.